Fred Mannila is the broker-owner of Fred Real Estate Group. 1. Bend, Oregon, was among the worst real estate markets in the nation at the time. 2. We were new to town, didn’t know too many people, and the area itself was much smaller and had a different culture (totally different to our familiar stomping grounds in the Portland metro area). 3. 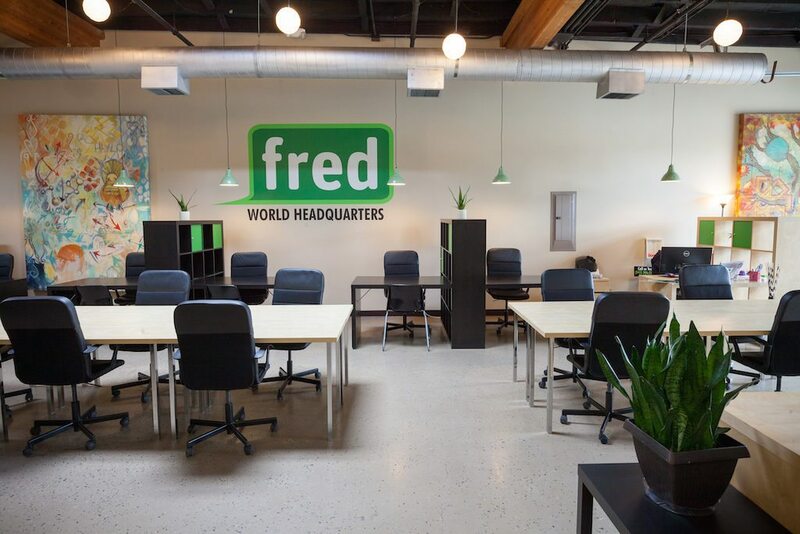 We named our company Fred Real Estate Group. People laughed at us and told us we’d never succeed. They said our name wasn’t professional enough. They said we’d fail. That our investment in technology wouldn’t help us succeed. That we weren’t charging our agents enough. That we needed to be more traditional. They said our name wasn’t professional enough. They said we’d fail. And, with every negative comment, we just worked that much harder to prove everyone wrong. Fast-forward to today, seven years later, and we are thriving! We’ve got a team of more than 70 brokers (in Bend, Redmond, Portland and Eugene), and we’re ranked among the top three brokerages in central Oregon. Our little quirky company has an established brand in the community, a strong social media presence and owners who seriously love what they do. Working as a team with my wife! We both have an insane work ethic and a true zest for life. We work hard, play hard and believe in working with like-minded people. It wasn’t hard to find our core team right off the bat, all of whom are still with us today. Why do you stay independent when there are so many great franchises to join? After more than 10 years of real estate experience with larger and more traditional firms, I saw an opportunity to build a different, creative and more innovative kind of real estate company. I have a strong entrepreneurial spirit and fully believe that you don’t have to follow the herd in any career. I like being different! Also, based on my experience, I wanted to run my own company where my team wasn’t required to meet certain quotas or numbers, and they could run their business how they see fit. I wanted driven, creative, hardworking, like-minded entrepreneurs who exude a genuine passion for what they’re doing. I also wanted to structure a company that didn’t get rich off its brokers. Of course, profit is good for any business, but I can’t wrap my head around why anyone would need to give up so much of their paycheck to a company and then pay bogus fees on top of that? That’s not the way I wanted to structure my team. 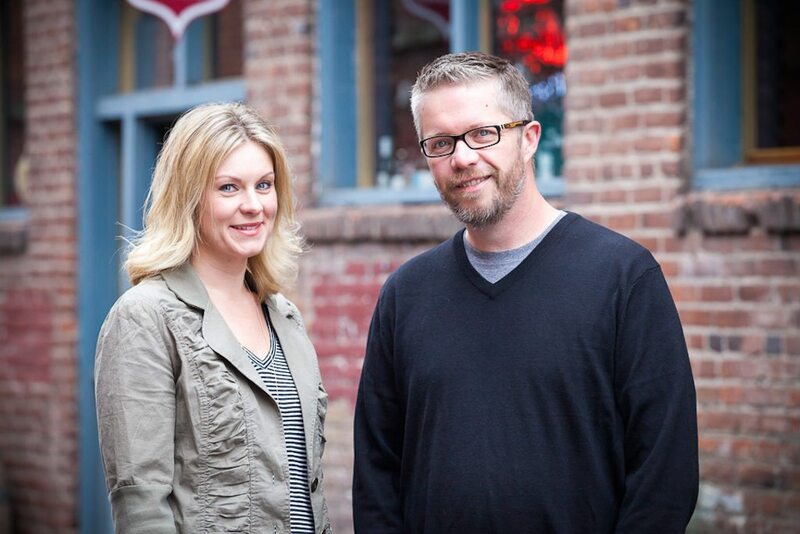 My wife and I launched Fred Real Estate Group in the fall of 2008. We’d purchased several homes for ourselves throughout the Portland metro area over the years, and had several not-so-great experiences with local Realtors. We just had a gut feeling that we could do things differently. In multiple conversations about what “different” meant to us, we put the framework together for our business plan. What factored into that decision? I knew that the typical fees and splits weren’t something that I wanted to continue paying. I also wasn’t a fan of of my corporate-style office environment. For my wife, after experiencing firsthand several unimpressive real estate experiences as a client, and having spent several years working in the public relations and communications training arena for the technology sector, we were inspired to join forces in creating our own progressive and different kind of real estate company. My real estate expertise and my wife Keeley’s love of high-tech marketing, coupled with a sincere passion for creating awesome client (and team) experiences, lead to the forming of Fred Real Estate Group. We had young twin sons and had been toying with a move from the big city of Portland, Oregon, to the the smaller community of Bend. We’d fallen in love with Bend and its lifestyle, and knew that we wanted to raise our family there. How old is your brokerage? We have only two staff members and more than 70 brokers. Other than the fact that our name is FRED?! We have pingpong, a keg of beer, beanbags and an urban loft-like space with rollup garage doors. We also have Pandora playing throughout the office (more than likely, it’s set to Hall & Oates); we need music to function! We are located in the “locals” part of Bend in Century Center, which is a converted warehouse built of red brick and home to several local businesses, including a brewery and distillery, coffee shop, burger joint, theater pub and a large courtyard where seasonal concerts are held. Our space is a hip, urban, open loft-style with exposed ceiling beams, concrete floors, rollup garage doors and a wide-open layout. We have a few closed door spaces (and a conference room) for our team to use with clients or for phone calls, but the rest of our space is open. We do not have designated desk space; it’s first-come, first-served. Our entrance offers a living room area with couches and leather chairs for clients or brokers to use, as well as a couple of computers for our team and/or clients. Our broker area is a large, modular grouping of tables, which is surrounded by desks and additional tables. In the back, we have a “think tank” area with beanbags, and a pingpong table. 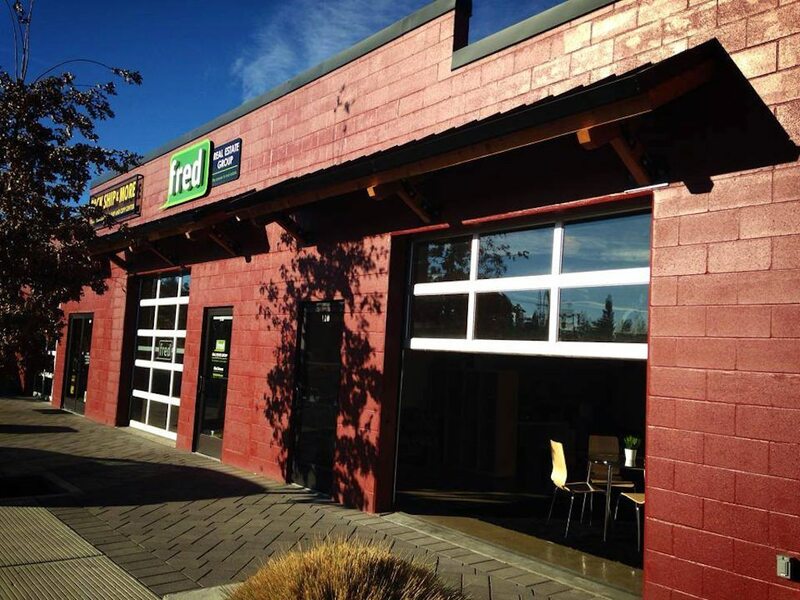 There is no other real estate company in Bend, Oregon, that has a space like Fred Real Estate Group. What kind of floor plan do you use? Open-seating, first-come, first-served. All of our furniture is modular, which enables us to move around easily and reconfigure the space for different events, trainings, pingpong tournaments, etc. How many agents and offices do you have? We have 73 brokers, two physical office spaces and two additional Oregon satellite locations. We’ve actually not done a ton of recruiting. We’ve been really blessed with great referrals from our current team. There’s also a sense of curiosity about us in the community, which helps foster conversations with brokers who are looking for something different than they already have. We are huge fans of social media and technology! We also have a ton of FRED swag — T-shirts, trucker hats, Silipints, beer koozies, etc. — that our team wears around town, which helps get the brand out there. But, really, it’s not rocket science: We just want people to walk away from working with us feeling like they had an awesome experience — whether it’s a client, a broker from another company or a local business partner. If you treat people well, they’ll tell others about their experience and create an organic buzz about the company. If you treat people well, they’ll tell others about their experience and create an organic buzz about the company. Of course! We do tons of events in our space, such as: weekly happy hours, pingpong tournaments, annual chili cook-off, holiday celebrations, and other fun/impromptu events throughout the year. We also host ongoing training events and roundtables for our team (and the public) from real-time real estate info to technology and social media training. Outside the office we have regular team mountain bike rides, participate in team sports (basketball, kickball), and we sponsor local events, too. Describe your brokerage’s digital presence. Do you have a website? What publishing platform do you use? Are you active on social media? Which channels? We have several websites, leverage multiple online lead generation platforms, and are passionate about the use of social media in our daily business. Our main social platforms are Facebook, Twitter, Pinterest and Instagram. We have full flexibility to run our company how we see fit. We can offer different commission structures based on our broker’s needs. We recognize there’s not a “one size fits all” when it comes to business. We believe that success means something different to each person, and depending on how our team defines success to them, we’ll partner with them to reach their goals. We’ll also reward them with company profit-sharing. We are also a debt-free company, which is a pretty huge accomplishment and allows us to be able to allocate our profits into better technology for our team, marketing efforts for our clients and reinvest into the company itself (profit-sharing, office needs, etc.). We put our people first: our team and our clients. We do not have to charge our team bogus fees or royalties, and do not have to adhere to any corporate crap. We are fully independent, quirky and proud of it! We also recognize that we are not a fit for everyone, and that is OK.
1. We believe in people first — both our team and our clients. 2. We are passionate about and lead with technology, but realize it’s no replacement for personal relationships or awesome client experiences. 3. For our team, we offer the best “deal” around when it comes to splits, commissions and not charging dumb fees. We also offer the most technology and tools for free, compared to anyone else. 4. Our office space is like none other in town. If you come to our office, you’ll get a tech company vibe. We have pingpong, a keg, beanbags, open layout and Pandora radio blaring. But don’t let our casual vibe fool you, as we are in the top 100 real estate teams in the nation and we consistently rank in the top five central Oregon real estate firms. Traditional real estate companies are run completely different than the way we run our company. We do not define our success by the dollar, more so by the success of our team and the experiences had by our clients. We are modern, hip and forward-thinking. We love technology — it’s at the core of what we do — and we love that we can offer our team an awesome suite of tools that they can leverage to propel their business. We also believe in rewarding our team for a job well-done, and as a company, we offer profit-sharing. Over the past year, we’ve really made an effort to build upon our strong company culture. Even though we are growing rapidly, we are making every effort to keep the family vibe that we believe in. Our team knows that our door is always open, and we’ve got their back. Moving forward, our plan is to expand our physical office space, to refine our online technology and tools that we offer to the team and our clients, and make sure our team is on track for success — whatever success means to them — through additional training, business planning sessions and one-on-one coaching. We do not define our success by the dollar, more so by the success of our team and the experiences had by our clients. Are you an independent broker who’d like to participate in our profile series? Email amber@inman.com. New technology is coming for real estate agents -- are you ready?